McElroy is pleased to announce the addition of a new rental partner, Morain Sales & Service, that will serve as a rental house offering a full line of polypropylene pipe fusion products. 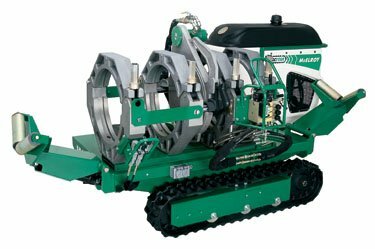 McElroy designs the most efficient and reliable equipment in the world to fit the increasing demands for highly-durable, fusible pipe systems. The Mineral Ridge, Ohio-based company will rent fusion tools and accessories primarily to McElroy’s polypropylene distributors in the United States. Morain has had a long relationship with McElroy having specialized for more than 26 years in McElroy products for polyethylene pipe used widely in water and natural gas distribution systems. Morain is a Certified McElroy Rental and Authorized Service Center with certified McElroy mechanics on staff who provide the best customer service possible. Morain will provide full customer support and training for polypropylene distributors in the northeastern U.S. states while McElroy will aid in the support functions elsewhere. Morain is eager to support all polypropylene distributors regardless of the pipe brand. McElroy is pleased to announce the addition of a new rental partner, Morain Sales & Service, that will serve as a rental house offering a full line of polypropylene pipe fusion products. Morain is eager to support all polypropylene distributors regardless of the pipe brand. Learn more by visiting the websites for McElroy and Morain.